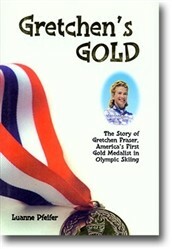 The Story of Gretchen Fraser who won America’s first Olympic Gold Medal in alpine skiing. High up on Seattle Ridge at the resort of Sun Valley in Idaho, there is a ski run called “Gretchen’s Gold” — not so-called just for some capricious reason. Yet, few people can explain why it’s so names, for oftentimes ski history is lost in the swirl of time and the ever growing excitement of the sport. This book, Gretchen’s Gold, tells an inspiring story of the person who achieved for America its first Olympic alpine skiing medals — a silver and a gold. 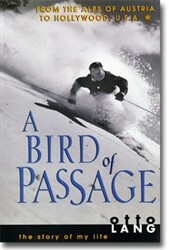 But it is also an account of how international ski racing started in the United States. Along the way it chronicles well tuned athletes and disabled skiers, ski bums and millionaires, movie stars and mobsters, all of whom were touched by the gold of Gretchen’s heart. In this story will be found the days when skiing was young and so was she. Here was a person who not only knew how to win Olympic medals for her country, but knew how to wear them well the rest of her life. No sport could have had a better role model. When Gretchen Fraser died at 75 years of age at Sun Valley, Idaho, the mountains lost a treasured icon. By then, as this book reveals in never-before-told anecdotes, she had turned in a gold medal performance in life, quietly and without much fanfare, influencing and helping many people in the varied aspects of living. She lit the torch for United States ski racing carrying it with honor far beyond the gates of the Olympic Village. In this first book written about her, that flame endures in America. By Luanne Pfeifer. 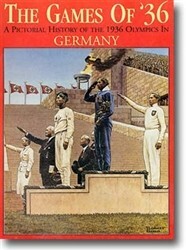 1st edition, published 1996. 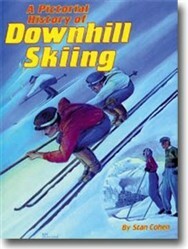 Ski history book has a Hard cover, 172 pages, 9 x 6 inches.